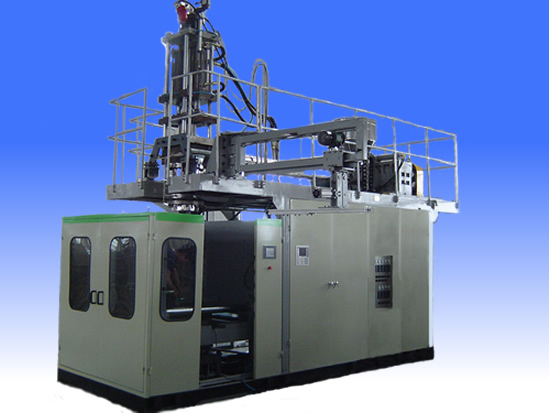 Pimpex Plastic introduces this manufacturer who could make plastics co-extrusion blow molding (EBM) machines for 4 multilayers small bottles & containers. View online Catalogue! 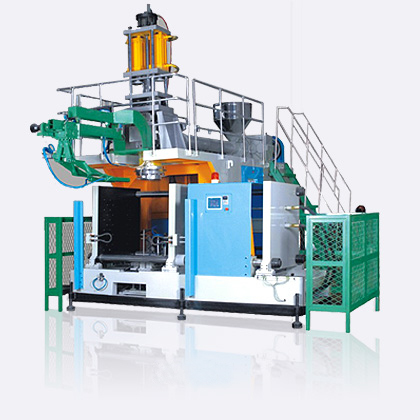 With more than 10 years professional experiences on EBM machinery design and production, this manufacturer's plastics extrusion blow molding (EBM) machines could make upto 4 multilayers small bottles & containers with materials from outer to inner like HDPE, Regrind HDPE, Adhesive, PA or EVOH. 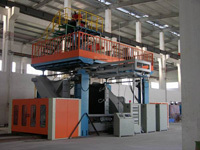 Its new workshop covers 10,000 square meters area all for professionally produce full hydraulic bottle blowing machinery. Many experienced engineers could offer debugging, commissioning, maintenance works to satisfy customers. 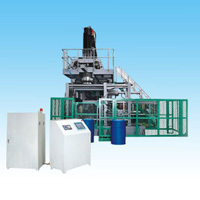 This manufacturer syncretizes some advanced Germany & Italy blowing technology, and adopts high standard configuration and excellent components to ensure the high performance, high speed, low energy consumption, reliable & stable machinery quality of its full automatic computerized hydraulic bottles blowing machinery. 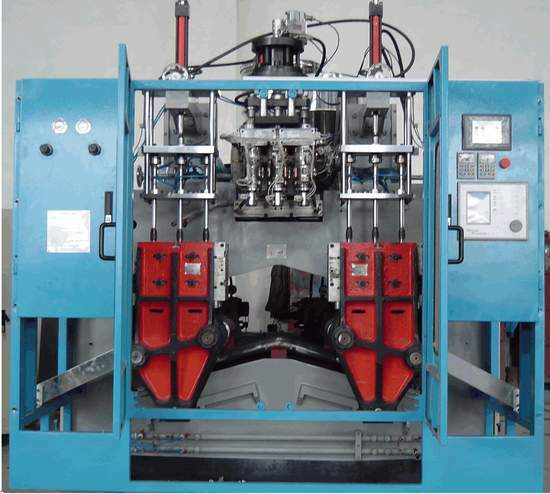 According to customers' requirements, this manufacturer will suggest single die head, dual die heads, triple die heads, four die heads, six die heads or eight die heads per station, and suggest single layer, dual layers, triple layers, or four layers die head to customers. 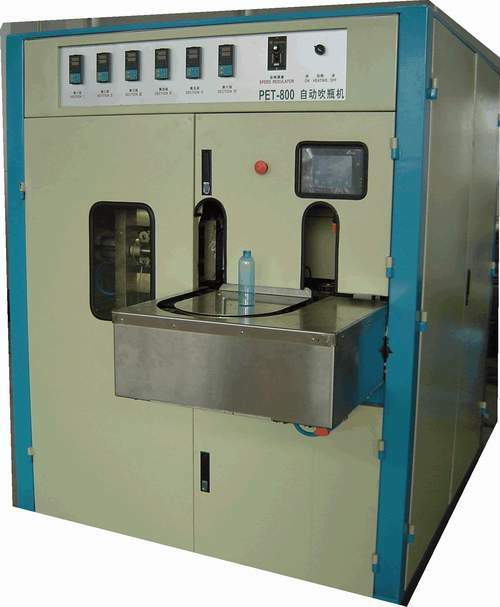 Its EBM machines could be used to blow various plastics like PE, PP, PS, PVC, PMMA, PC, PETG, PET into hollow bottles & containers, which could be from 5ml to 1,000L widely used in packaging cosmetics, beverages, detergents, cleansers, drugs, medicines, engine lubricating oils, and for plastics toys, etc. 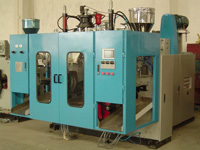 Moreover, some touch screen control PET stretch blow molding machine is available too. 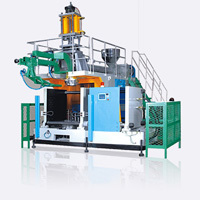 The advantage of this manufacturer's EBM machinery is in adopting high stardard configuration and excellent components to satisfy customers who will purchase from us high performances, high quality EBM machinery at reasonable prices, and to gain maximum profit margins and grasp market opportunities with our excellent EBM machinery. Not to be the No.1 market occupancy, but to the best in the market! To supply high stardard EBM machinery, to keep good reputation in the EBM market, to keep moving on EBM technology to meet with customers' requirements. 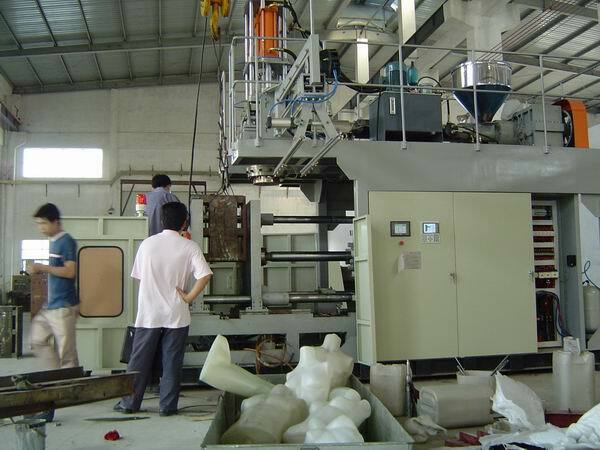 Customers should provide us detailed drawings/pictures of plastics bottles/containers indicating materials, sizes, thickwalls, layers, weights, outputs requirements, thus our EBM engineers could suggest most suitable solution for customers. Control Computer: Special high speed computer from Japan Mitsubishi or Austria B&R. Colorful full touch sceen control with special computer temperature control module. 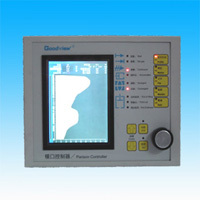 Full computer type means flow, pressure, temperature, speed, automatic output counting, automatic reset, automatic failure display all directly controlled by a computer. 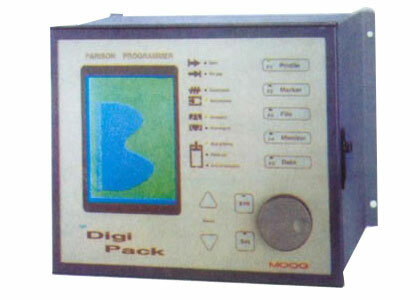 Parison Wall Thickness Control: Special high speed wall thickness computer from Austria B&R or Japan MOOG. 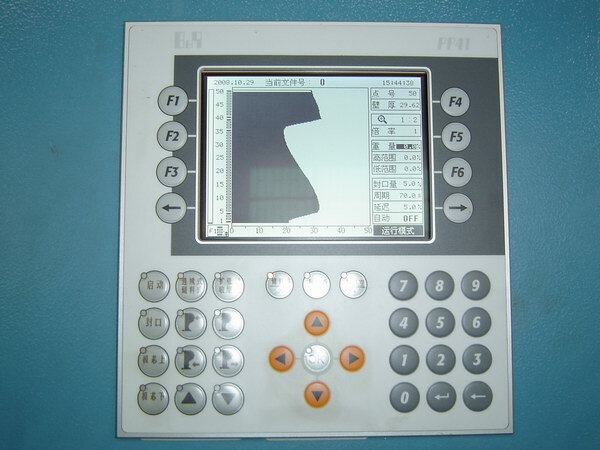 Most convenient operations, most accurate controls, most stable running on wall thickness control. 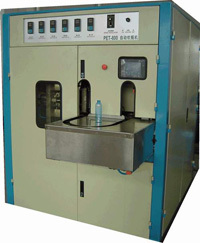 Parison wall thickness control is very important on improving the quality of bottles & containers, reducing the cost of raw materials. Hydraulic Directional Valve: USA Vickers, high speed high efficiency energy saving hydraulic system to largely improve the reliability and enlong the service life of hydraulic system. 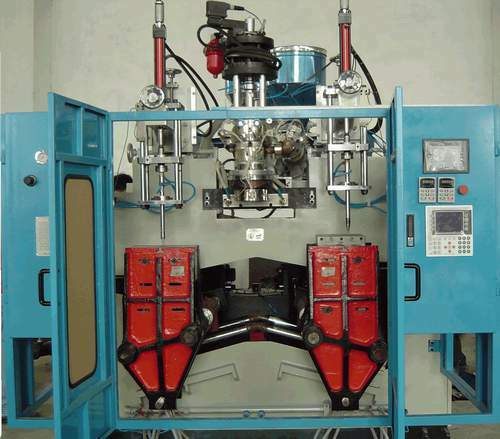 Hydraulic Pump: Taiwan Hytek, low noise high performances. Servo Valve for Parison Wall Thickness: Italy ATOS or Japan MOOG, highest performance and response accuracy. 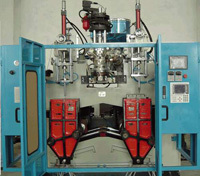 Braking System: Imported foreign technology to ensure rapid & stable & non-impact frame-swing. 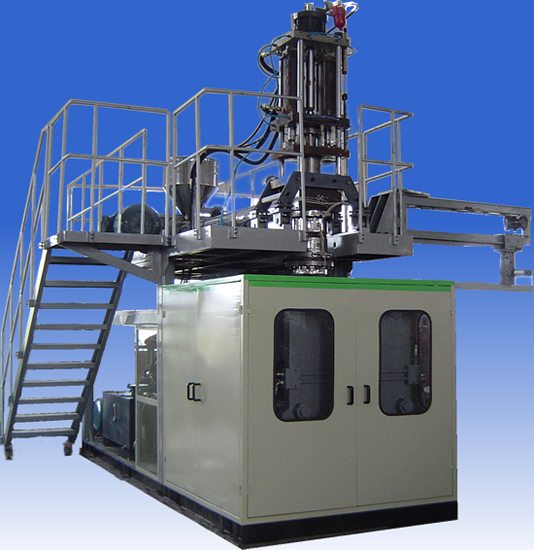 Screw & Extrusion Cylinder (Machine Barrel): Top-grade 38CrMoALA nitriding steel with nitriding depth 0.4-0.5mm, hardness HV900, high hardness high wearable performance. Screw: High mixing plasticized screw for high efficiency plasticization. Extrusion Oil Pump's Motor: 6 levels motor, which is much lower noise, higher torsional moment, longer service life compared with common 4 levels motor. Reduction Gear Box: 20CrMnTi high intension alloy steel with hard tooth surface, which has been carburized and quenched and gear grinded. Diehead: Electroplated alloy steel for diehead, whose sprue runner is designed in an advanced and scientific way. Mould Clamping Plate: High intension cast iron. The above configuration is for customer's reference only, final configuration is according to the signed/stamped contract. 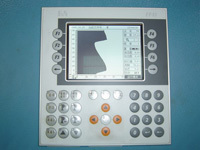 Parison Wall Thickness Control: Special high speed wall thickness computer from Germany Beckoff 300 Points. Most convenient operations, most accurate controls, most stable running on wall thickness control. Parison wall thickness control is very important on improving the quality of bottles & containers, reducing the cost of raw materials. Automatic feedback close loop adjustable heating system, easy operations, stable output, infrared heating with high heat efficiency, even & stable heating. 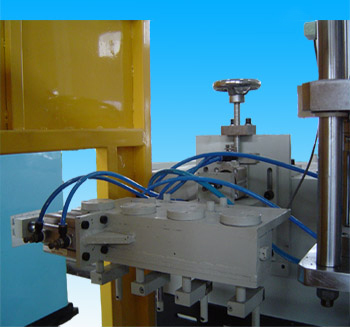 Clamping organ adopts penumatic cylinder to drive machine-hinge directly locking for big clamping force and fast speed, safety and reliability. 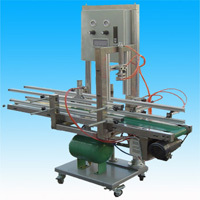 Mechanical lever clamping mechanism, quick and energy saving. High quality penumatic components imported from Japan to ensure high reliability and stability. Reasonable design of transmission chain to ensure stable rotation of the plastic preforms. Humanized design for easy operations and maintenance. 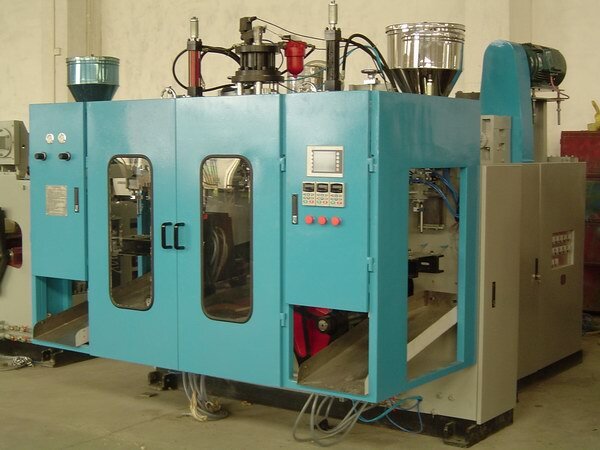 The stretch blow molding machine is suitable for the production of drink, cosmetic, medicine packaging from 50ml to 1 liter with the material of PET and PP. 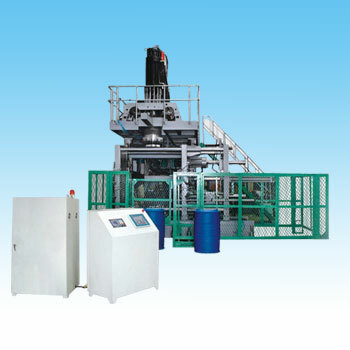 This machine has been sold to China domestic market and Southeast Asia countries.